By the time Savannah Mendoza graduated from the eighth grade, she had spent six years in foster homes and experienced care that ranged from good to appalling. She had been separated, reunified and separated from her mother three times. She bounced between nine elementary schools. 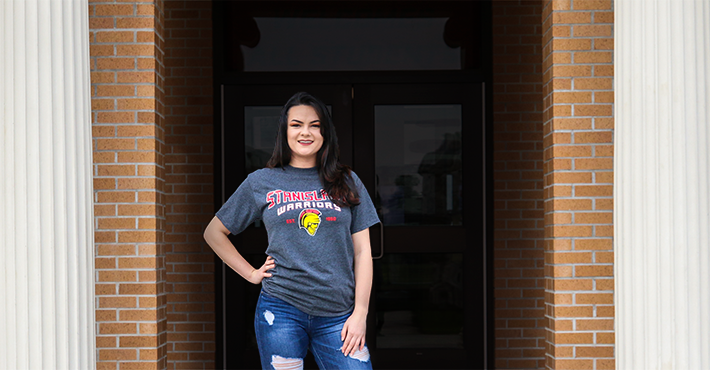 She also had been introduced to the Promise Scholars program, which helps current and former foster youth succeed at Stanislaus State by providing an array of advising and support services. 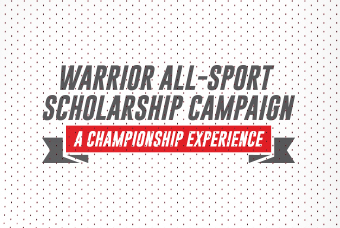 As soon as Mendoza learned about Promise Scholars, she made the life-changing decision that, without question, she would one day be a Warrior. Today, she is a third-year kinesiology major. She plans to graduate in May 2020, enter a nursing program and become a registered nurse. Outgoing and naturally optimistic, Mendoza is confident of her future. She credits the Promise Scholars staff with putting together an academic and financial aid plan that will lead her to graduation in four years and keep her on track toward her goals. At the grad night event years ago, she met Wanda Bonnell, the now-retired coordinator of Promise Scholars. As Mendoza progressed through Modesto High, she occasionally emailed questions to Bonnell who advised her on how to prepare for Stan State. The financial aid arranged through Promise Scholars was crucial to Mendoza because, with no parental assistance, she had no other way of paying for college and housing. She entered the foster care system at the age of 7 because her mother had a drug addiction. The next several years of her life revolved around failed reunification attempts and moving from one foster home to another. Despite the instability of life in foster care, Mendoza was a good student and graduated from high school with a 3.8 grade point average. She assumes she would have found her way to college, but perhaps without good advice or financial aid coordination if she didn’t have Promise Scholars on her side. “I probably would have tried to figure it out on my own, and I’d probably be thousands of dollars in debt by now,” she said. While financial aid has been imperative for Mendoza, she also appreciates Promise Scholars’ help in other areas, such as academic advising and career planning. For example, she says, Bonnell and other staff helped her sift through various career ideas before she settled on nursing. And when her car broke down, the staff found a solution to the problem. Mendoza also appreciates the community-building events that bring together Promise Scholars students a few times a year. Mendoza says she is happy to be an unofficial Promise Scholars ambassador, recommending the program to anyone who qualifies.